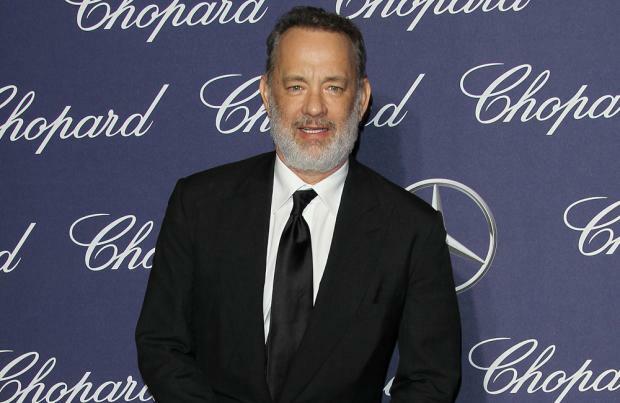 Tom Hanks' Mr. Rogers biopic has been given an official title. The 62-year-old actor is set to star as Fred Rogers – who hosted 'Mister Rogers' Neighborhood', the popular educational children's TV series of the 60s and 70s which aired on PBS – in the upcoming biographical film, and according to The Wrap, the production will be called 'A Beautiful Day In The Neighbourhood'. 'A Beautiful Day In The Neighbourhood' is directed by Marielle Heller, and alongside Hanks as the TV icon himself, Matthew Rhys plays journalist Lloyd Vogel, and the likes of Enrico Colantoni, Chris Cooper, Tammy Blanchard, and Sakina Jaffrey help fill out the cast list. The story is based on Alexis Jolly's screenplay which was sold in 2013 – though the final script for the movie was written by Micah Fitzerman-Blue and Noah Harpster – and tells the true story of jaded journalist Tom Junod, who has his worldview changed when he realises Mr. Rogers's sincerity is genuine. However, the production was struck by disaster earlier this year when 61-year-old sound mixer James Emswiller fell from the top of a building on the Mt. Lebanon, Pennsylvania set, and plummeted two stories to his death. James was reportedly on a smoke break at the time of the incident, and in October it was claimed the Occupational Safety and Health Administration (OSHA) has opened an investigation into the death, which will take six months to complete. A spokesperson said at the time: "If OSHA uncovers violations of any sort, citations will be issued."